9780792376026 | 2 sub edition (Kluwer Academic Pub, January 1, 2002), cover price $229.00 | About this edition: Phase-Locked Loops for Wireless Communications: Digitial, Analog and Optical Implementations, Second Edition presents a complete tutorial of phase-locked loops from analog implementations to digital and optical designs. 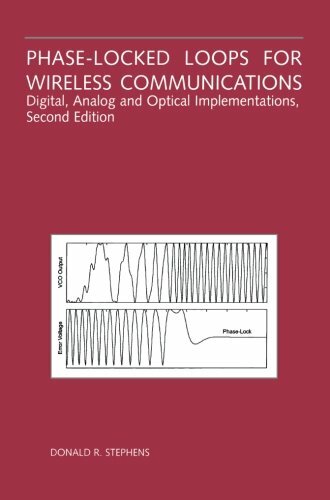 9781475783889 | 2 edition (Springer Verlag, March 21, 2013), cover price $199.00 | About this edition: Phase-Locked Loops for Wireless Communications: Digitial, Analog and Optical Implementations, Second Edition presents a complete tutorial of phase-locked loops from analog implementations to digital and optical designs. 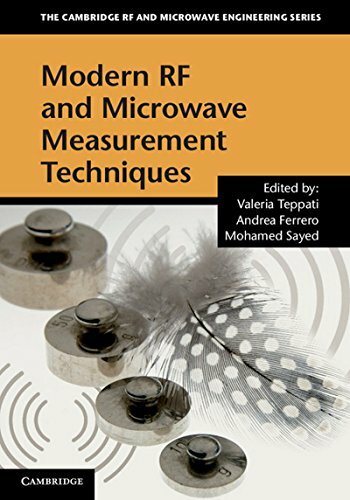 9781107036413 | Cambridge Univ Pr, July 31, 2013, cover price $130.00 | About this edition: This comprehensive, hands-on review of the most up-to-date techniques in RF and microwave measurement combines microwave circuit theory and metrology, in-depth analysis of advanced modern instrumentation, methods and systems, and practical advice for professional RF and microwave engineers and researchers. 9780792382041 | Kluwer Academic Pub, June 1, 1998, cover price $135.00 | About this edition: This is a contemporary reference work on phase-locked loops for wireless communications engineers. 9781461376187 | Springer Verlag, October 15, 2012, cover price $119.00 | About this edition: This book is intended for the graduate or advanced undergraduate engineer. 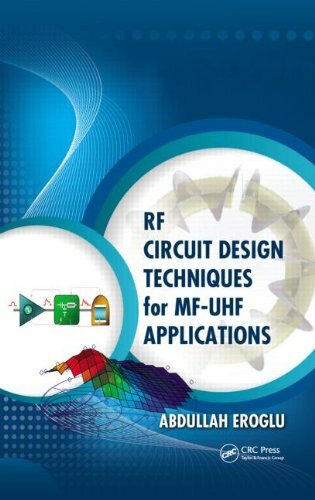 9781439861653 | CRC Pr I Llc, April 5, 2013, cover price $154.95 | About this edition: Magnetic resonance imaging, semiconductor processing, and RFID are some of the critical applications within the medium frequency (MF) to ultrahigh frequency (UHF) range that require RF designers to have a solid understanding of analytical and experimental RF techniques. 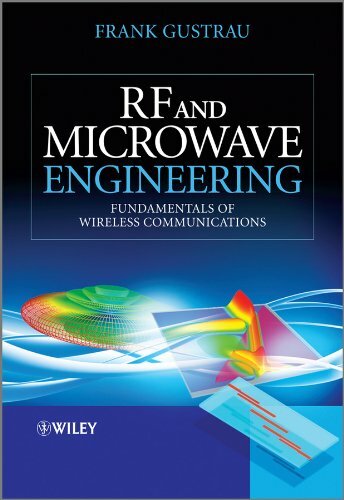 9781119951711 | John Wiley & Sons Inc, August 21, 2012, cover price $86.99 | About this edition: This book provides a fundamental and practical introductionto radio frequency and microwave engineering and physical aspectsof wireless communicationIn this book, the author addresses a wide range ofradio-frequency and microwave topics with emphasis on physicalaspects including EM and voltage waves, transmission lines, passivecircuits, antennas, radio wave propagation. 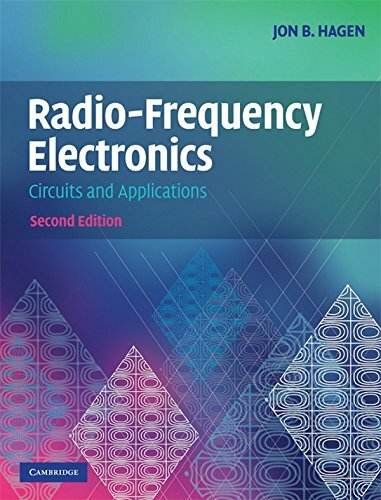 9780521889742 | 2 edition (Cambridge Univ Pr, July 27, 2009), cover price $110.00 | About this edition: This second, updated edition of the best-selling Radio-Frequency Electronics introduces the basic concepts and key circuits of radio-frequency systems. 9780521553568 | Cambridge Univ Pr, October 1, 1996, cover price $75.00 | About this edition: This accessible and comprehensive book provides an introduction to the basic concepts and key circuits of radio frequency systems, covering fundamental principles that apply to all radio devices, from wireless data transceivers on semiconductor chips to high-power broadcast transmitters. 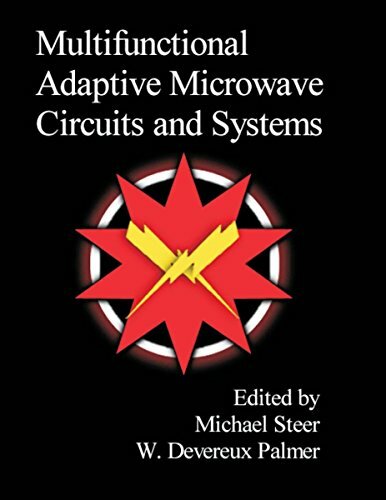 9781891121777 | Scitech Pub Inc, October 15, 2008, cover price $149.00 | About this edition: Multifunctional Adaptive Microwave Circuits and Systems is a state-of-the-art survey on Multi-functional, Adaptive Radio Radar and Sensor, or MARRS, systems and summarizes the findings of a five year project entitled MARRS: Multifunctional Adaptive Radio Radar and Sensors that ran from 2001 to 2006. 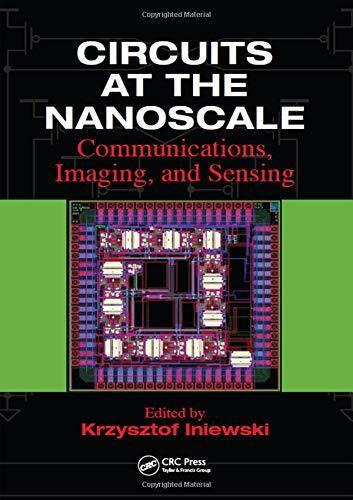 9781420070620 | CRC Pr I Llc, September 9, 2008, cover price $199.95 | About this edition: Circuits for Emerging Technologies Beyond CMOS New exciting opportunities are abounding in the field of body area networks, wireless communications, data networking, and optical imaging. 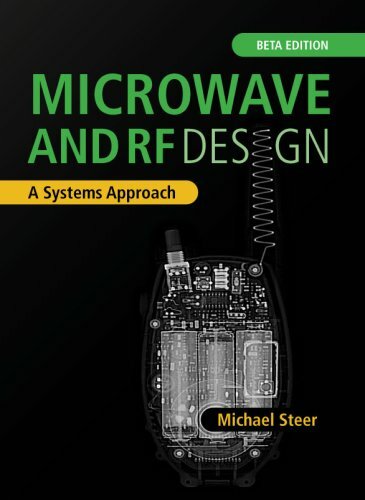 9781891121821 | Scitech Pub Inc, August 31, 2008, cover price $75.00 | About this edition: Microwave and RF Design is a comprehensive introduction to RF and microwave design with a systems first approach. 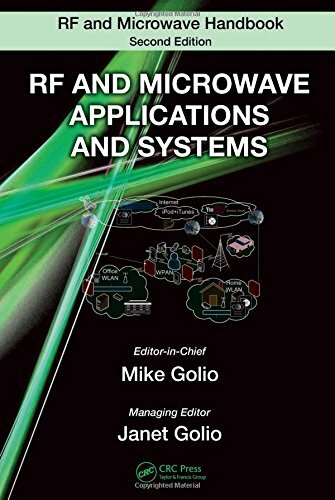 9780849372193 | 2 edition (CRC Pr I Llc, December 20, 2007), cover price $132.95 | About this edition: This volume, RF and Microwave Applications and Systems, includes a wide range of articles that discuss RF and microwave systems used for communication and radar and heating applications. 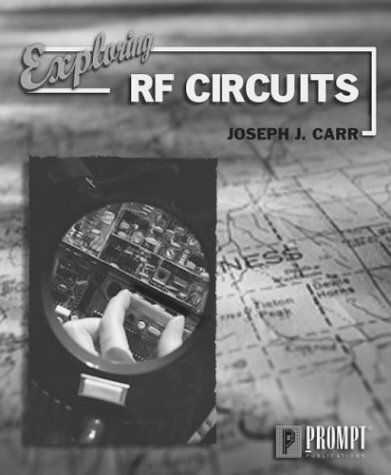 9780849372186 | CRC Pr I Llc, December 20, 2007, cover price $132.95 | About this edition: Highlighting the challenges RF and microwave circuit designers face in their day-to-day tasks, RF and Microwave Circuits, Measurements, and Modeling explores RF and microwave circuit designs in terms of performance and critical design specifications. Multi-antenna techniques are widely considered to be the most promising avenue for significantly increasing the bandwidth efficiency of wireless data transmission systems. In so called MIMO (multiple input multiple output) systems, multiple antennas are deployed both at the transmitter and the receiver. In MISO (multiple input single output) systems, the receiver has only one antenna, and the multiple transmit antennas are used for transmit diversity. The key aspects of multiple antenna transceiver techniques for evolving 3G systems and beyond are presented. MIMO and MISO (transmit diversity) techniques are explained in a common setting. 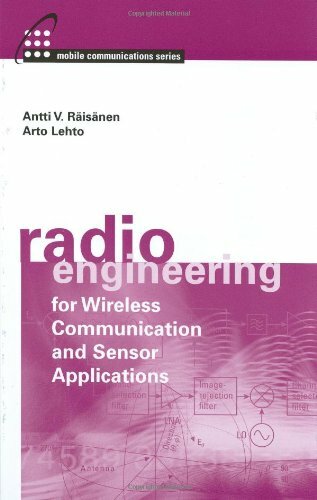 In particular, the book covers linear processing transmit diversity methods with and without side information at the transmitter (feedback), including the current transmit diversity concepts in the WCDMA standards, as well as promising MIMO concepts, crucial for future high data rate systems. As an example, MIMO and MISO aspects of 3GPP HSDPA (high speed downlink packet access) will be considered. Furthermore, examples of high throughput, low complexity space-time codes will be provided, when signalling without side information (open loop concepts). The theory of linear space-time block codes will be developed, and optimal non-orthogonal high throughput codes will be constructed, both for MIMO and MISO systems. Performance may be further improved by feedback from receiver to transmitter. The corresponding closed loop modes in the current 3GPP specifications will be discussed, along with their extensions for more than two transmit antennas. In addition, feedback signalling for MIMO channels will be addressed. Optimal quantisation methods of the feedback messages will be discussed. Finally, hybrid schemes are constructed, where the amount of feedback is reduced using partly open, partly closed loop signalling. * Provides a concise and up-to-date description of perhaps the most active area of research in wireless communications * Unique in presenting recent developments in both WCDMA and MIMO * MIMO and MISO techniques are explained in a common setting * Special emphasis is placed on combining theoretical understanding with engineering applicability For Research engineers in academia and industry, and development engineers in 3G system design as well as research students. 9780470845424 | John Wiley & Sons Inc, March 1, 2003, cover price $192.00 | About this edition: Multi-antenna techniques are widely considered to be the most promising avenue for significantly increasing the bandwidth efficiency of wireless data transmission systems. 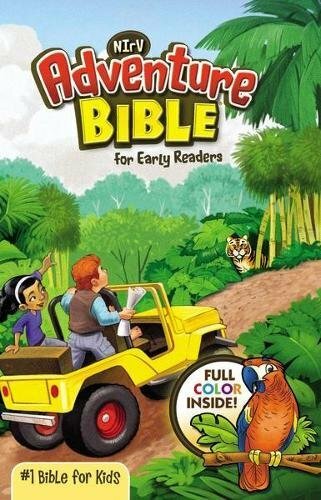 9780471514107 | John Wiley & Sons Inc, May 1, 2000, cover price $55.01 | also contains OpenGL SuperBible: Comprehensive Tutorial and Reference, OpenGL Superbible: Comprehensive Tutorial and Reference | About this edition: A comprehensive text that covers both receiver and transmitter circuits, reflecting the past decade's developments in solid-state technology. 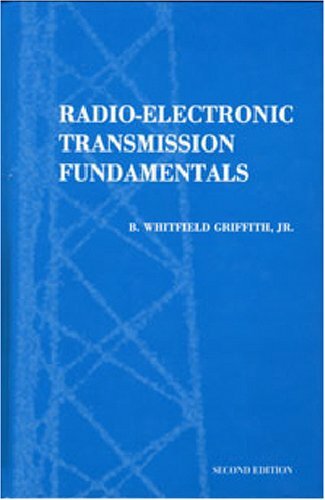 9780471030188 | John Wiley & Sons Inc, July 1, 1979, cover price $264.15 | About this edition: A comprehensive text that covers both receiver and transmitter circuits, reflecting the past decade's developments in solid-state technology. 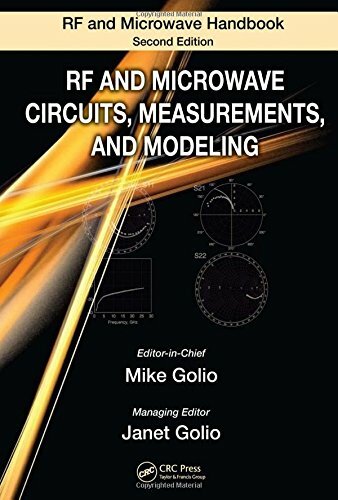 Provides a hands-on approach to Radio Frequency and Microwave theory and design This book provides engineers with a comprehensive guide to Radio Frequency (RF) circuit analysis and wave propagation in order to be able to design new systems. Emphasis is placed on fundamental concepts, engineering techniques, and the regular and intelligent use of the computer design tools. 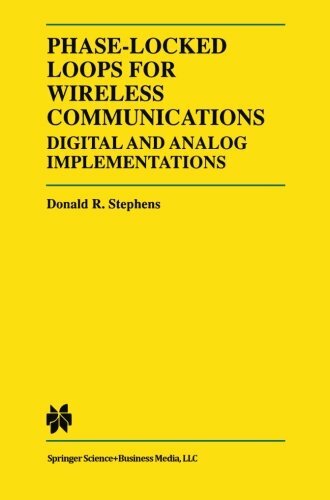 This book contains a review of wireless history and engineering fundamentals including complex numbers, alternating-current theory, and the logarithmic basis of decibels. The important topics in microwave design theory are discussed, such as transmission lines, the Smith Chart, and matrix algebra. Computer generated examples are used to provide insight into the basic performance, bandwidth, and manufacturing yield of RF and microwave networks. 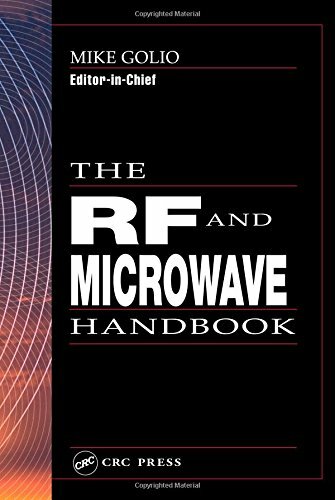 The author also provides a broad presentation of electromagnetic (EM) field theory tailored to the needs of the microwave and RF engineer. Explains how design challenges would be attacked in a real engineering environment Reviews AC analysis, Kirchhoff’s laws, RLC elements, skin effect, and introduction to the use of computer simulation software •Covers filter designs for Butterworth, Chebyshev, Bessel and elliptic responses, Kuroda’s identities, and Richard’s transformation Provides in-text exercises to emphasize a practical approach Includes access to a companion site hosting an instructor's manual High Frequency Technique: An Introduction to RF and Microwave Design and Computer Simulation is a reference for RF, microwave, and wireless engineers, and graduate students in electrical and computer engineering. 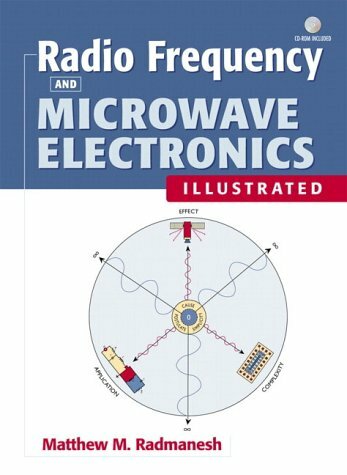 9780471455912 | IEEE, January 2, 2004, cover price $168.00 | About this edition: Provides a hands-on approach to Radio Frequency and Microwave theory and design This book provides engineers with a comprehensive guide to Radio Frequency (RF) circuit analysis and wave propagation in order to be able to design new systems. 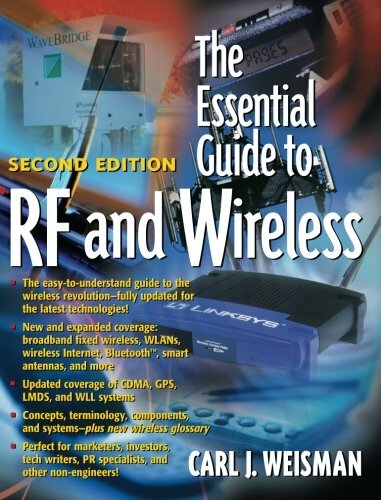 9780471474814 | IEEE, February 6, 2004, cover price $132.95 | About this edition: Provides a hands-on approach to Radio Frequency and Microwave theory and design This book provides engineers with a comprehensive guide to Radio Frequency (RF) circuit analysis and wave propagation in order to be able to design new systems. 9780471390565 | Wiley-Interscience, October 13, 2003, cover price $448.00 | About this edition: The most comprehensive treatment to appear in book form. 9781580533560 | Artech House, August 1, 2003, cover price $186.00 | About this edition: As electronic designers pack more and more circuits onto a single chip to create increasingly complex devices, they run into a daunting obstacle: intermodulation distortion. 9781580535427 | Artech House, May 1, 2003, cover price $109.00 | About this edition: A comprehensive, multidisciplinary overview of radio engineering. 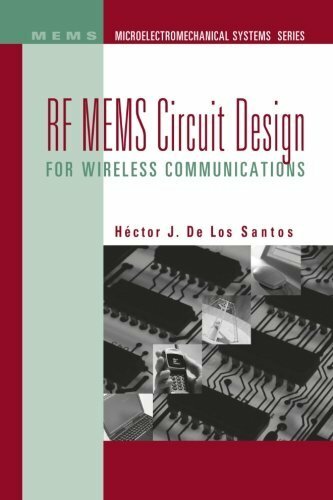 9781580533294 | Artech House, July 1, 2002, cover price $99.00 | About this edition: This is the first comprehensive book to address the design of Rf Mems-based circuits for use in high performance wireless systems. 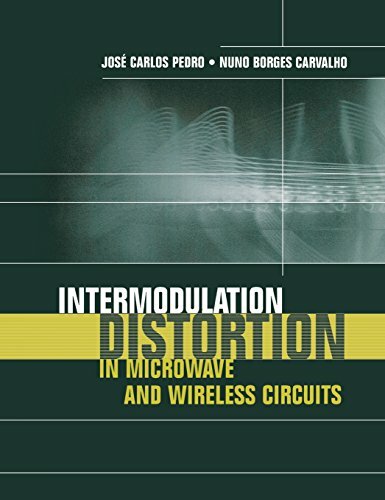 9780849385926 | CRC Pr I Llc, December 1, 2000, cover price $189.95 | About this edition: The recent shift in focus from defense and government work to commercial wireless efforts has caused the job of the typical microwave engineer to change dramatically. 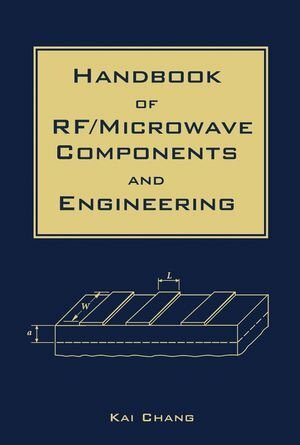 9780130279583 | Pap/cdr edition (Prentice Hall, December 1, 2000), cover price $105.00 | About this edition: This highly illustrated resource should make grasping the fundamentals of RF and microwave electronic theory and design easier and faster. 9781884932137 | 2 edition (Scitech Pub Inc, July 1, 2000), cover price $95.00 | About this edition: This classic volume, one of the best textbooks of electromagnetic field theory and RF circuits, is reprinted here for the first time since its original publication in 1962. 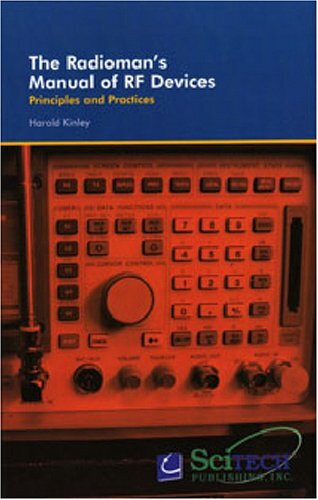 9780790611976 | Prompt Pubns, July 1, 1999, cover price $63.95 | About this edition: In this book , you will learn about the basics of RF construction, RF circuit design, and gain an understanding of radio frequency circuits.